Everyone has their favorite beauty products and here are a few I love tell my friends about! 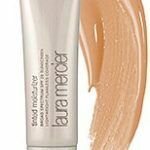 These are not paid endorsements – just things that have made my everyday beauty routine infinitely better! they’re real! lengthening mascara by Benefit is amazing! Over time my eye lashes have looked less thick. I always hated wearing mascara because it clumped on my lashes or flaked in my eyes over the course of the day. Not with this! I don’t know if it’s the mascara’s formula and/or the brilliantly designed brush but it is a miracle! Sephora and Ulta usually give it out as a free gift. Ask them for a sample the next time you stop in! You’ll be glad you did! essie gel setter has been life changing! I wanted to work in the garden without polish chipping off and I was tired of paying the extra $$ for the shellac manicure at the salon so I put this to the test. 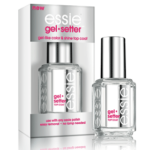 As the regular manicure chipped off, I switched to the essie gel setter. Then I moved rocks, planted flowers, climbed fences, pulled weeds…and the essie gel worked as an amazing top coat. And I could use it over the essie polish I already love. Madison-Reed has a fabulous light-weight styling cream simply called “Style.” I have naturally curly hair and have struggled for years to find a product that tames my frizz and holds my curls without making it crunchy, sticky or greasy. Like most curly-haired folks, I can’t wash my hair daily so the fact that my hair is still soft and holding my curls the second day is miraculous! Trust me, this is the product curly hair has been looking for! Their shampoo and conditioner are fantastic, too! Disclaimer: I won this product at a conference, but really love it! 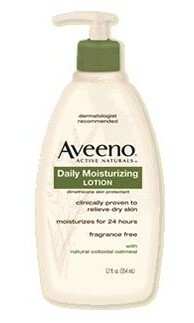 Aveeno Daily Moisturizing Lotion is by far the best lotion I have found for my body. Not kidding. I live in Colorado where the air is dry and so is your skin. This is the only lotion that keeps my skin soft all day. My kids have slight eczema and it works great for them too. It’s easy to see why this beauty product has won awards for years!